Back in the Mists of Time when I wanted to be a writer and smack myself on the forehead every morning I wrote the first three chapters of a book about a Charterhouse Monk living through the dissolution of the monasteries who falls in love with a farm laborer, has a breakdown, and drowns himself in a mill pond. The first chapter was entirely him describing a square of blue tile on the floor of the chapel where he spends a good 40% of his day in intricate, boring, detail. I was very young, so this terrible idea is excusable but still, my life long fascination with all things cloistered has not yet waned. 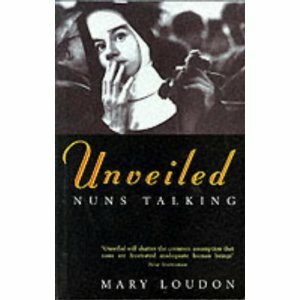 A couple of years ago I read a collection of stories about nuns called ‘Unveiled: Nuns Talking’ by Mary Louden. This fascination collection features nuns or various denominations from all over the UK and Ireland discussing their lives and their beliefs. It was upon reading this book that I decided to live my life according to rules dictated by what I believed in most strongly, in this way my entire life almost becomes a test. I’m not sure of the purpose behind this but it has certainly given me a lot more focus and drive and I can identify almost with women and men who have chosen to lives their lives to a rule; albeit a rule dictated by an organised religion rather than an individual (and therefore slightly more fluid) moral compass. I think most of my love of monks and nuns comes from fiction. And yes, I’m looking at you, Cadfael. Ellis Peter’s detective might not be the most historically accurate series in the world, but its lovely, and great, and easy to slip into. And the TV version stars Sir Derek Jacobi. 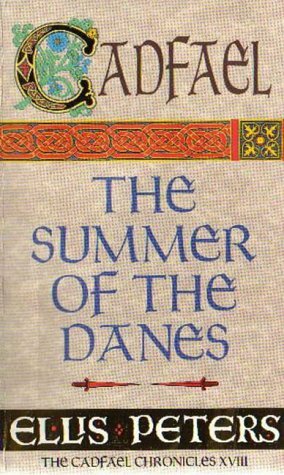 I’ve just read The Summer of the Danes, which was brilliant stuff about the tribal wars in Northern Wales. A Morbid Taste for Bones I must have read about seventy times. Read them, read them now. Other famous Books About Monks that I have loved have to include Umberto Eco’s The Name of the Rose. The bit where they are discussing whether laughter is holy just blew me away. The fact I was in Italy at the time and visiting the Vatican the next day, well. The dissolution of the monasteries in this country caused such huge social upheaval, arguably the biggest shift in societal norms not including war since the Black Death. Dissolution, the first in the Shardlake series, is so good, almost too good, if you haven’t had me rant at you about them before bloody hurry up and get the lot and read them! I currently dragging my way though the 10078 page epic that is Russka by Edward Rutherford (don’t expect a review anytime soon, it is MAMMOTH) and have already learnt seventeen different things including that early Russian Orthodox monks would live in caves underground and mortify the flesh as a way of getting closer to God. Which is just amazing. Basically, I’m just really into the idea of being a medieval nun. Sometimes I really do wish I’d been born seven hundred years ago, but of course, then I wouldn’t be able to watch TV adaptations of Cadfael or eat canned soup. Oh well. Another dream dies. ‹ PreviousBritish Library goes Google!